by this Friday 2 July at the latest, with payment. Please ensure cheques are payable to Van Cols Ltd (not to the school). 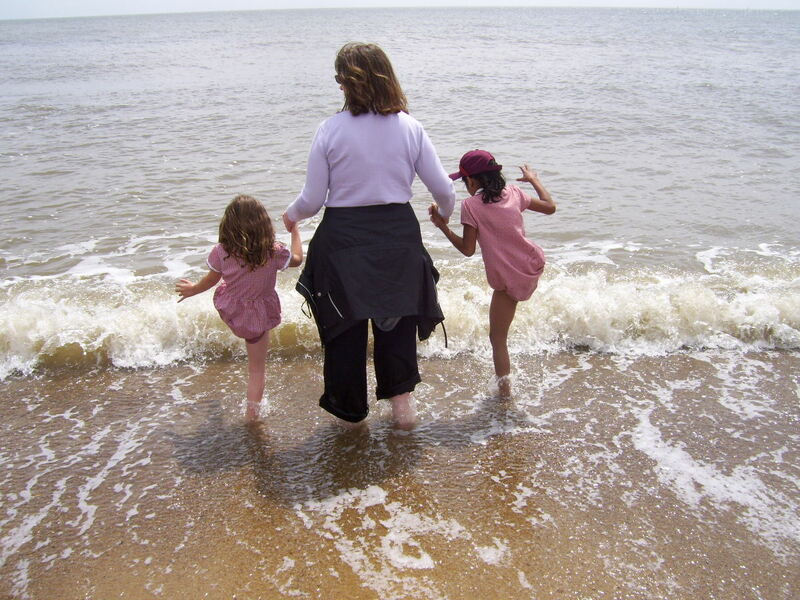 We have been advised by SCC that they have some funding available for some free or subsidised places in childcare or playschemes during the summer holidays for children aged 4-13 living in difficult circumstances. If you wish to apply for this funding please obtain an application form from the school office. Completed forms need to be returned to SCC before Friday 9 July. The final profit actually came in at a whopping £1905, which will go to Friends funds for the school. Girls should wear a one-piece costume for swimming not a bikini. Boys should wear trunks and not shorts which extend below the knee. If your child has a wet suit they can wear it if they suffer from the cold. Please can we remind parents, again, to put the name and class of your child on the back of cheques. We raised over 23,000 vouchers thanks to all your efforts. We have ordered a number of different IT items this year including a voice recorder, a microscope, card readers, a media pointer and a weather station. In addition we have also ordered the following sports equipment: relay batons, a vortex, uni-cricket sets, a mini goal and armbands. Sir Robert Hitcham's cricket team did the school proud yesterday. There were 12 district winners from around Suffolk divided into 4 groups. We won our 2 group games convincingly against Middle Schools. You can see the scorecard below from the match v Beyton Middle (largest school in the County). We also beat Castle Hill Middle. We then played a quarter final v Hardwick Middle - another good win for SRH. Next was a tense semi final v Wilby Primary. They had some very good bowlers. This was quite a low scoring match but we bowled and fielded extremely well to win by 15 runs. In the Final SRH played against Hadleigh. This was a very tight and nervous match. SRH bowled first and kept Hadleigh down to a low score. Everybody bowled really well in this game and some great catches were taken. Hadleigh had some very good bowlers and SRH lost several wickets (and therefore, runs off our score) in the first half of our innings. Captain Josh Cantrell and Adam Blades went in as our 3rd pair of batters and completely changed the match in our favour. One over saw 2 sixes and 2 fours to put us in a commanding position. The last 2 overs were batted by Ryan Seaber and Gus Whitely without any hicups to leave SRH with a win by 15 runs. Other mewmbers of the team were vice captain Harry Dyer, Billy Evans, George Johnson, Charlie Smith, Edward Goddard and Callum Palmer- Robertson. All of them were outstanding - several spectators mentioned the incredible team spirit our our boys. Everybody was naturally over the moon! County Champions for the first time. Last year we were runners up. Nick Knight (former England player and now Radio commentator) was there to watch our semi final and final. He was very complimentary about our team. He presented the boys with their medals, signed their shirts (free from event sponsors ASDA) and posed for photos with the team. SRH now goes forward to represent Suffolk in the Regional Finals (6 Eastern Counties) next Thursday in Mildenhall. There is a huge incentive to do well in this as the winners and runners up will play in the National Finals at the Headingley Ground (in Leeds) during the last week of term. The Annual Athletics competition took place in glorious weather at Debenham High School. Robert Hitcham's took a team of 32 athletes (16 from year 5 & 16 from year 6) to take part in a range of track and field events. Gold, Silver and Bronze Awards were given for each event with Gold medals for winners. 24 of our team earned at least one awatd with 20 GOLDS , 12 SILVERS and 6 BRONZES. Georgina and Adam from year 5 both got 2 gold medals and a 2nd / 3rd certificate. This was a fantastic event which everybody really enjoyed. This was the first ever outdoor hockey tournament for primary schools in this area. It took place at a great venue - the astro turf pitch at Debenham High School. Five schools entered and all played each other in a round robin format. Each school had a mixed squad of 4 boys & 4 girls. This is a mini version of hockey (with a slightly larger ball) called Quicksticks. We have been running an after school hockey club this year plus several of our players have been training at Harleston Magpies Hockey Club. Robert Hitchams won all 4 of their games (4-0 v Occold, 6-0 v Debenham, 3-0 v Mellis and 3-0 v Charsfield) to emerge as winner of the tournament. Our team played some great hockey and really enjoyed the event. The children in lower key stage 2 are doing on topic on SUPERHEROES at the moment. They have invited a number of real life heroes to visit the school. This week PC Hassler (our local Police man and a parent of a Robert Hitcham's pupil) brought his police car onto the back playground. He talked to the children about his job and all of the equipment that he uses in his job. Some of the children got to sit in the Police car and press buttons. See the vido below to hear the various sirens. 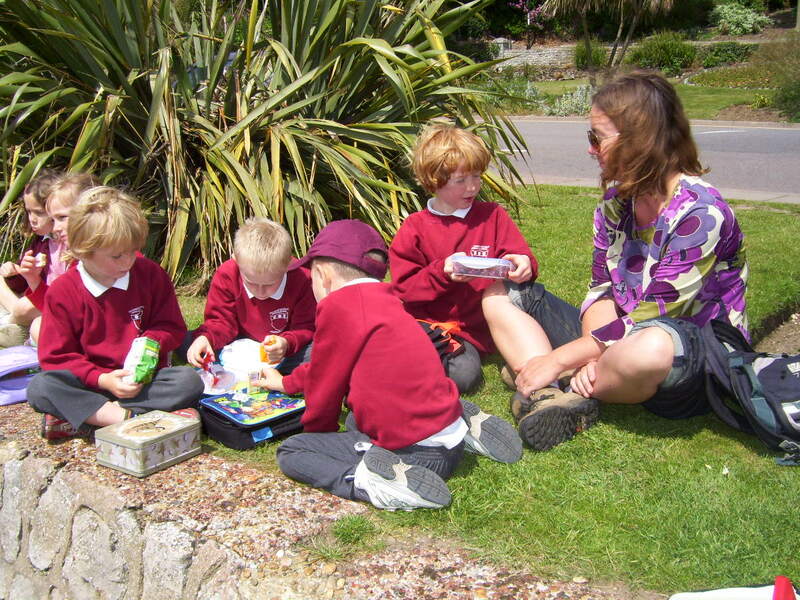 The children will be going to the field for a picnic and play on Thursday 24 June at lunchtime. 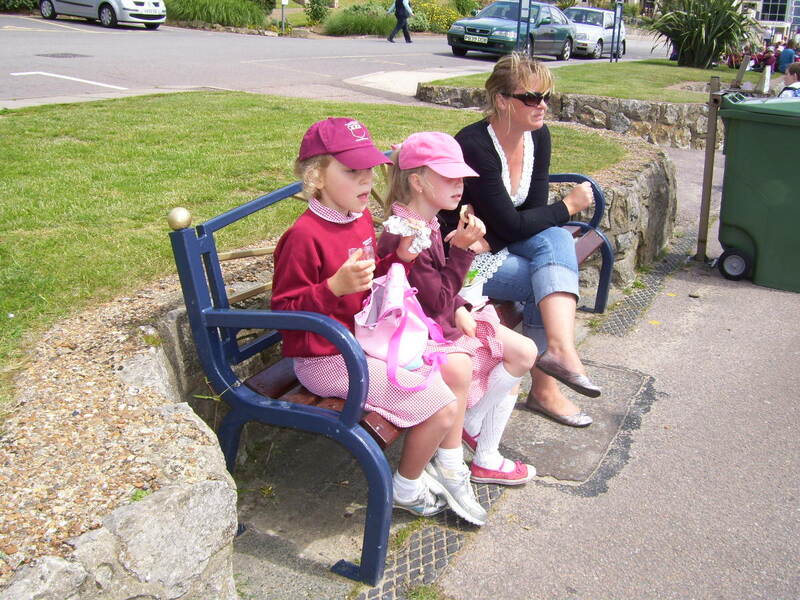 If the weather is hot please apply sun-screen to your child before school and they should bring a hat. Please can we emphasise to parents that any photographs you take at school events (eg sports day) should be for your own personal use and MUST NOT be placed on the internet (eg social networking sites) if there are any children in the photograph other than just your own. As a school, parents have given us written permission to put photos on the school Blog, but as individuals you must have the permission of other parents to put photos of their children on the internet. Please can we ask that any photos that have been posted on the internet are removed. If we find that parents continue to post photos taken at school events, sadly we may have to stop parents taking photos at future events. Please can we remind parents that we do not allow dogs on school grounds for the safety of all children. The price of book bags from our supplier has increased to £1.85 with immediate effect. The last lesson for this term will be Tuesday 29 June, next term lessons start on 7 September. The Friends would like to say a big Thank You to all the parents who helped set up, run stalls or clear away at the Summer Fun Evening on Friday 11 June. The evening was a great success raising around £1800 so well done to everyone for all their hard work. 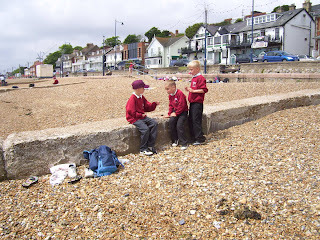 Do look at the school Blog for some of the photos. This is the last week for handing in these vouchers to the school office, thank you. On Thursday 1 July, the Roast dinner is being changed to beef instead of pork. We regularly find clothes, footwear, bags and other items in lost property that are not named. With this in mind we are sending with this letter a leaflet from a company called ‘SimplyStuck’ who provide a huge range of labels and stickers for all purposes. 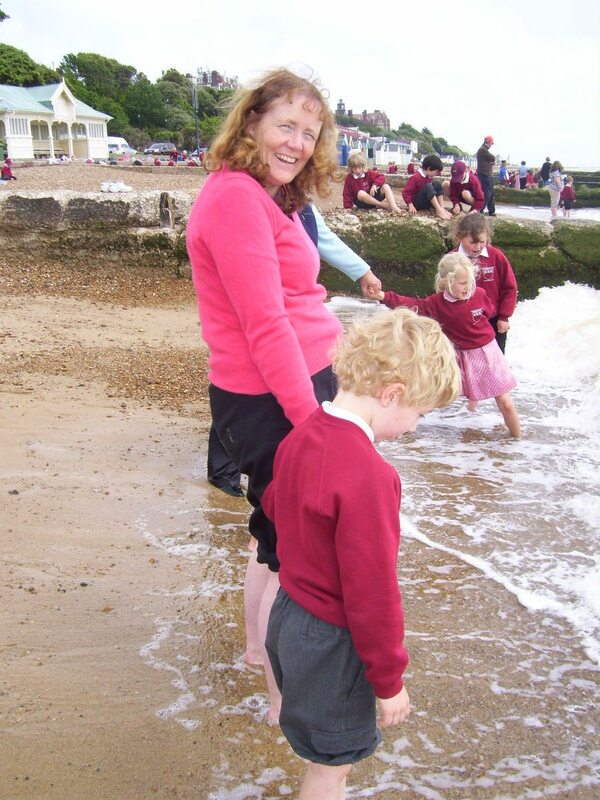 If you order through their website and tick that you wish ‘to raise funds for our school’, on selecting Framlingham Sir Robert Hitcham’s you will be raising 50p per pack towards school funds. Thank you. Reminder that there is a non-pupil day this Friday. Watch the video below for lots of great pictures from this year's sports day. Mrs Elphick's last sports day in superb weather was won this year by MILLS house. There are some great action shots which will appear on the Blog tomorrow. 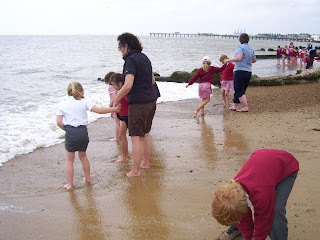 The keystage one trip to Felixstowe was fantastic on 10th June. We had wonderful weather in spite of a dreadful forecast. We started off at the top of the town and walked down to the front completing a tally chart of some of the shops that we saw. 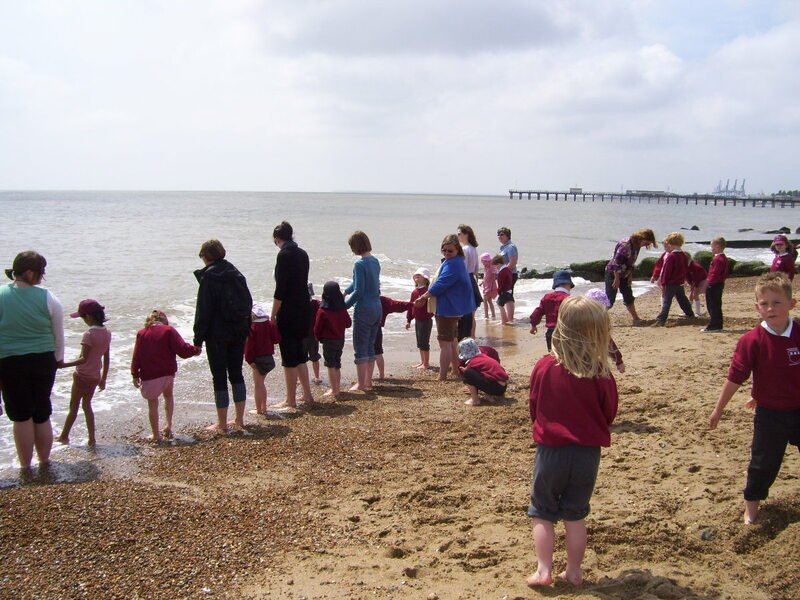 We are going to do the same in Framlingham and compare the two places as part of our geography work this term. We then had lunch sitting on the front and afterwards spent the afternoon paddling in very, very cold water and searching for shells, stones and making sandcastles. Our thanks go to Stuart and Shane of Thompsons coaches who dropped us off, picked us up and even took our lunches down to the front. 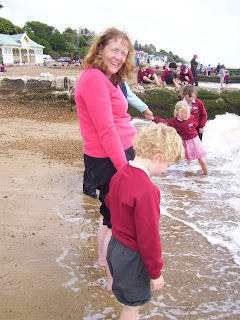 Thanks also to the Mums who braved the cold water to allow everyone wanted to paddle and one or two of us to get soaked! All the classes were were very good at crossing some very busy roads. Several people came up to us and commented on how well behaved and sensible our children were. We very very proud of them. A few of us fell asleep on the coaches coming home (even Mrs Elphick had forty winks. We think this is a first). All of us were exhausted that night after such a brilliant trip. As part of our Sporting Chance topic in Upper Key Stage 2 the children have been doing all sorts of maths, science, literacy and art work. This great World Cup A to Z was made by Hattie in Class DB. See our SPORTING CHANCE page on the main school website for more information plus links to World Cup interactive wallcharts. On Friday the school was given an award by Suffolk Coastal District Council recognising how clean our school grounds are. The managing director of the council and the councillor for the environment made the presentation to our eco council and Nigel Bennett (our school caretaker). Along with a certificate we were given a cheque for £400. This award was a complete suprise. 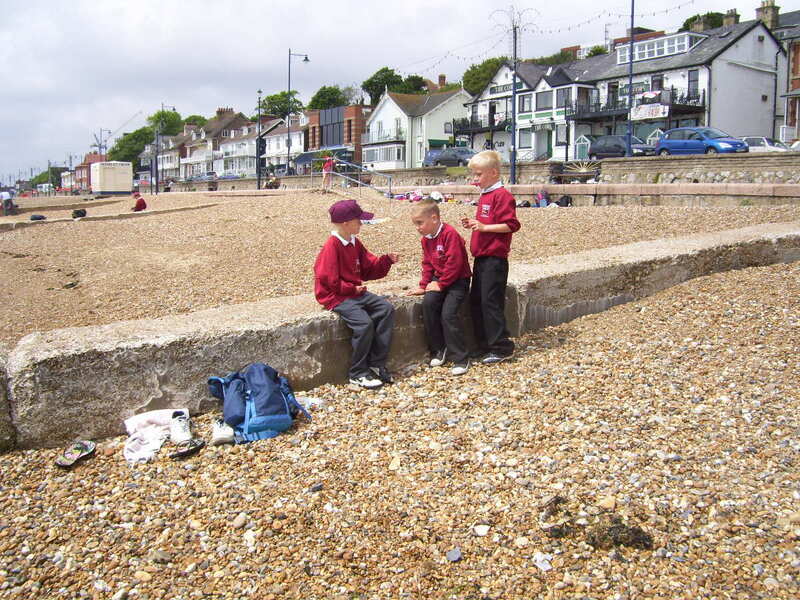 The councillors said that they had visited the school several times and never seen any litter. Our eco council will be looking for some suitable projects to spend the money on. Today Olivia, Freddie, David and I visited Brandeston Hall for a challenge day. This involved completing a variety of puzzles. Our first challenge was to build a domino rally. We had to work in teams, share ideas, listen to each other and agree on decisions. The rules were everyone had to have a job and there were to be no straight lines. We had to plan and implement our ideas. The next challenge was a piranha game in which we still worked within our teams. We had to put the game together and then hang piranhas from a hat. We were not allowed to touch the hat. It was hard to get them to balance without them all falling off. Next we worked in our groups with a variety of puzzles. The puzzles had to be filled with shapes like a jigsaw. The first shape was a square then a circle and a triangle. Sharing the work was a challenge in itself! We were not allowed to give up. The final challenge involved matching a pattern on the card with some plastic cards. This was the most tricky challenge. Finally we had a lovely lunch and a quick play outside in the school grounds. My favourite part of the day was the piranha game because I felt I could input a lot of my own ideas. The domino task was the biggest challenge because it was our first challenge and we hadn’t got to know our team mates yet.